We’re excited to celebrate a decade of Think Before You Pink® campaigns with you at our second annual Action Speaks Louder Than Pink – Food for Thought dinner. If you live in the San Francisco Bay Area, please join us next Thursday, October 25th for an evening of culinary delight, fantastic silent auction prizes and inspiring company. If you live outside the area, make sure to tell local friends and family about it. And please let us know if you’d like to help host a similar event in your area. Click here to get your tickets! Don’t forget to invite your friends. 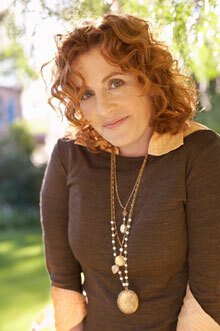 New York Times bestselling author Ayelet Waldman will emcee the evening. Action Speaks Louder Than Pink – Food for Thought offers an inspiring and thought-provoking alternative to pink ribbon events during Breast Cancer Awareness Month – or as we call it here, Breast Cancer Industry Month. Don’t miss this unique opportunity to enjoy a four-course dinner menu created and prepared exclusively for our guests by some of San Francisco’s top executive chefs from popular restaurants including Millenium and Hillside Supper Club. Ayelet Waldman, New York Times bestselling author and social commentator will emcee the evening. You’ll also have the chance to bid on gift certificates to the city’s top restaurants, local artwork, cooking classes, cookbooks and more. We don’t take money from anyone who profits from or contributes to cancer so your support is critical to our work. Your support through this event funds our education and advocacy work to address inequities in breast cancer outcomes, eliminate cancer-causing toxins from our environment, and ensure patients come before profits in the drug approval process. We are deeply grateful for your continued support and hope to see you there!